@SophieTSimmons is this how she made you do what you were told?? 1 year ago this weekend at @RIRInsider - the 1,000th #NASCAR Nationwide Series race. 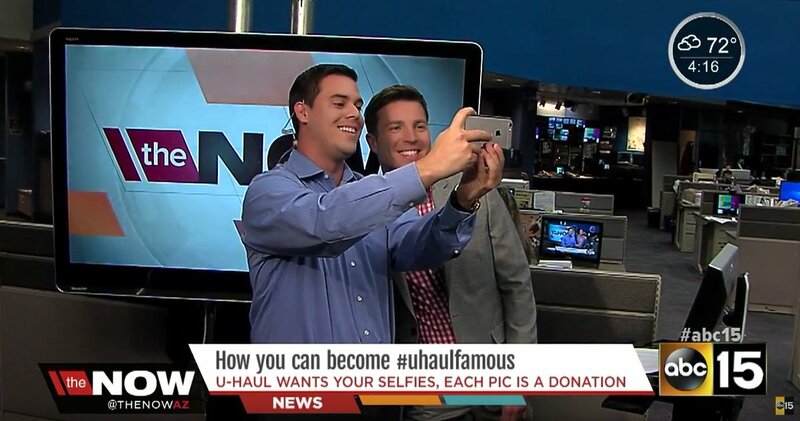 We were talking U-Haul at the desk… #ThrowbackFriday @justinpazera and yours truly taking selfies on TV.